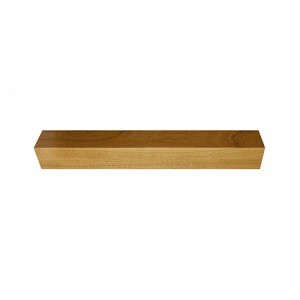 1485mm plain square newel bases available in a selection of different timbers for use with newels from the Contemporary Twist range of stair parts. The Contemporary Twist range of stair parts feature a modern square twist design. This design blurs the line between turned parts and square parts to produce something a bit different. Square twist newel posts and spindles are available. This design is simple but effective with its sharp edges and smooth twist that turns 90-degrees in the centre. The sweep of the twist means the edges will effectively reflect the light in your hallway. The newel posts and spindles are available in a choice of natural woods, including oak, pine, hemlock and sapele. Each part is delicately sanded and is ready for the finish of your choice to be applied. The simplicity of this design makes it ideal for being mixed with other parts, such as using twist newel posts with plain square or stop chamfered balusters. This range features newel posts, half newel posts, landing spindles and stair spindles.